As you may have noticed, the forums are down at the moment (April 30th, ~10am). An inquiry is in to our host since they are claiming we have gone over our allowed bandwidth limit for the month in spite of our reporting tools stating otherwise. With luck the forums will be back soon, unfortunately we do not have an ETA yet on when they may be back. We're at the mercy of the support team now. Until then, we recommend you go outside and throw some plastic on this gorgeous day in New England! I f you live near NY, MA, ME, or NH, you have your choice of tournaments this weekend. Billy Dunne continued his winning ways by successfully defending his Pro Open title and winning his second King of the Hill on Saturday. Billy recorded an unofficial 1007-rated 51 during round 2 and finished with a 106 (-2). AM1 Luke Adolph was the talk of the Hill at lunch with his hot round 1 score of 53. Luke held on to capture his first AM1 victory. After taking last year off, Jim Bobka returned to claim his second AM Masters title while Pro GM Ken Gary also defended his title. There were also three aces on Saturday! Andy Allen hit his first career ace on hole 9. John Hart also hit hole 9 while Billy Dunne hit hole 2. Nice job, boys! Remember TDs, if you'd like to share a recap of your event with NEFA, write up a short summary and send it with a few photos to me for the blog. It's a busy Saturday ahead as three very popular events in NEFA kick off a busy disc golf season. 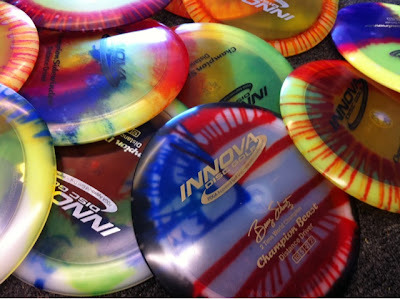 Devens King of the Hill 3 (NEFA, PDGA-B) sold out in just 10 hours while Burnsboro's 16th Before the Bugs Bite (MPT) sold out in just a few days! Down in NJ, the Mighty Gaw (NEFA, PDGA-C) is close to a sellout as well. Disc golf is booming in NEFA!